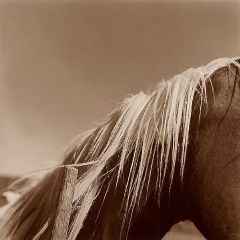 24"X24" sepia toned fiber print unframed. Framed 32"X32" burl wood, add$275. Please call.